Posted in: ATP. Tagged: 2014, atp, challenger, gilles muller, Irving, Kazan, Kyoto, March, Pablo Cuevas, recap, Rimouski, World Tour. Martin Fischer won a 3 set final on indoor hard in Japan against Japanese player Tatsuma Ito to capture the Kyoto challenger title. The 27 year old Austrian journeyman beat Marco Chiudinelli in the semis, while Ito beat his countryman Go Soeda, who was the top seed. Lukas Rosol won the stacked Irving challenger on outdoor hard in Texas, one of those super challenger events where top 50 players are allowed to compete without penalty. He crushed Steve Johnson in a rain soaked straight sets victory, and before that beat Sergiy Stakhovsky in the semis. Johnson beat Tobias Kamke in the semis. Marsel Ilhan won an indoor hard court title in Russia over veteran German Michael Berrer. Berrer beat Farrukh Dustov in the semis while the Turk Ilhan beat Andrey Kuznetsov of Russia. Pere Riba won the Central American clay court challenger in Panama in a tight 3 setter over the rising Blaz Rola, who is now up to a career high ranking of 118. Riba beat Gerald Melzer in the semis while Rola beat top seed Albert Ramos. Rola also upset 3 seed Andreas Haider-Maurer along the way, and 2 seed Martin Klizan fell in an upset to Guido Andreozzi. Big serving Aussie Sam Groth won the hard court challenger in Rimouski, Canada over Ante Pavic. 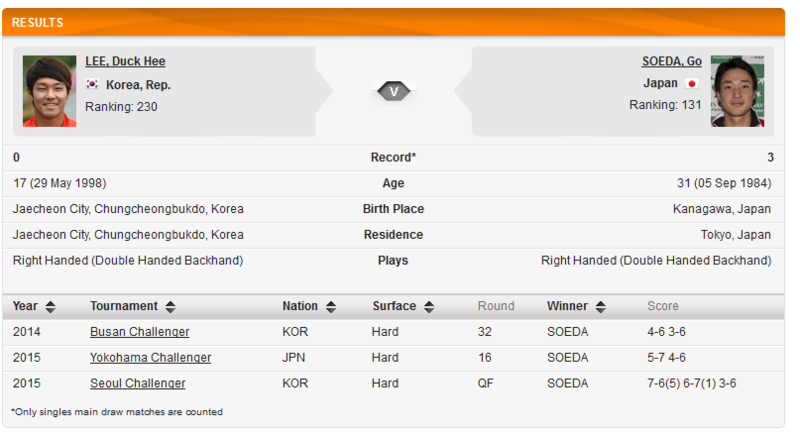 American Austin Krajicek and Japanese Yuichi Sugita were their semifinal opponents respectively. Former top 50 player Gilles Muller continued his comeback from injury, and has returned to the top 200 with a title in Guadalajara Mexico on hard courts. The qualifier upset top seed Kenny De Schepper in round 1, and also beat the seeded Dustin Brown before defeating Rajeev Ram in the semifinals and Denis Kudla in the final. Kudla beat JL Struff in the semis, and the seeded but struggling Lukas Lacko earlier in the tournament. 2 seed Matt Ebden was upset by Mexican wild card Cesar Ramirez, and 8 seed Peter Gojowczyk was upset by qualifier Takanyi Garanganga, both in round 1. Another veteran player on the comeback trail, Pablo Cuevas won on clay in Colombia over Martin Klizan. He upset Alejandro Falla, the top seed in the quarterfinals, and knocked off Adrian Ungur in the semis. Klizan beat 2 seed Albert Ramos in the semis.